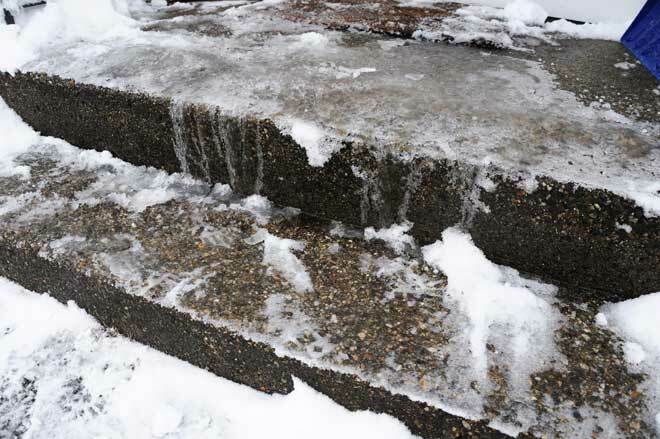 Steps, walkways, and other surfaces covered in slick ice are not only an annoyance, but can also cause serious injury. Spreading around gritty material such as kitty litter or wood chips can give you a little traction, but it won’t get rid of the ice. That doesn’t mean your only option is an expensive chemical ice melt from the home and garden center, though. Some of the natural products you already have in your kitchen or bath can also do the job. Salt is the cheapest and most common way to get rid of ice without shelling out for specially formulated products. Rock salt, the salt most often used for de-icing, is 99 percent sodium chloride from underground salt mines. It’s just a coarser version of table salt. It doesn’t melt ice, but rather lowers the freezing point of water from 32 degrees Fahrenheit down to around 15 degrees. That means it won’t work in extremely cold weather. If you apply salt and the air temperature never rises above 15 degrees, all you’ll get is salty ice. Apply it when it’s 15 degrees or above out, though, and the salt will ensure the ice melts faster than it can re-freeze. In temperatures a little above 15 degrees, you can help the salt work by pouring hot water over the ice while you spread the salt. The hot water melts the ice, and the salt prevents it from freezing again. While rock salt is the most common form used on icy surfaces, you can also use table salt. In fact, table salt is more effective because, thanks to its finer grind, it has more surface area that will come in contact with the ice. The more salt touches the ice, the faster the ice will melt. 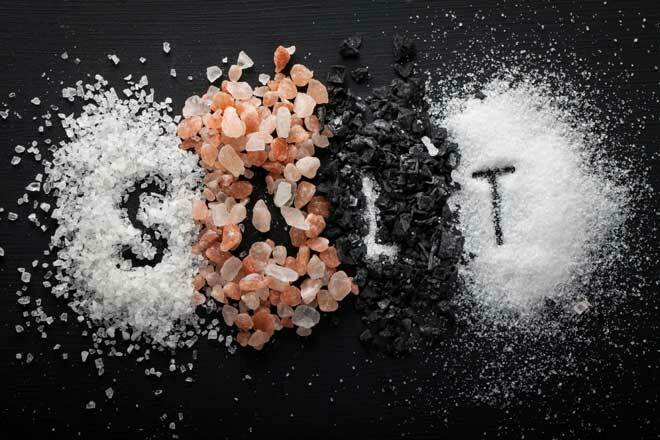 Table salt isn’t commonly used simply because it’s more expensive than rock salt. If you just need to de-ice one or two front steps, though, table salt will do the trick. Salt is safer than many ice-melting products, but if applied frequently, it harms plants, corrodes metal and will eventually damage concrete, too. It’s also irritating to pets’ feet and can leave residue on shoes. Use it in moderation and try to keep it away from your lawn and garden. As an alternative, you can use Epsom salt (magnesium sulfate) or even sugar. These are gentler on surfaces and plants, but less effective on ice. Even so, just by adding particles to the ice, you’ll increase the rate of melting somewhat. Isopropyl alcohol melts ice in a similar way as salt. Its freezing point is much lower than that of water. 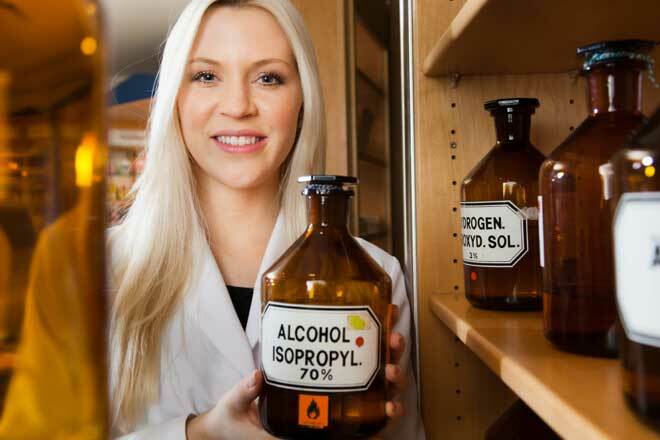 You’ll sometimes find isopropyl alcohol sold as rubbing alcohol, but not all rubbing alcohol is made with isopropyl alcohol, so check the label before you buy. The hot water helps speed up the melting process, which is particularly important in temperatures below freezing. In very cold temperatures or for thick ice, you can increase the amount of isopropyl alcohol to as much as 4 tbsp. A higher percentage of isopropyl alcohol, such as 91 percent, will also be more effective. Using lukewarm water or too little alcohol in freezing temperatures can result in even more ice forming on your walkway. In temperatures above freezing, however, you can make this de-icer with only water and rubbing alcohol, although it will be somewhat less effective. It might sound strange, but beet juice really can help de-ice your steps and sidewalks. The Minnesota Department of Transportation was the first to start using waste from sugar beet processing to industry for ice removal, but the practice has spread to other parts of the US and Canada. Roads are first pre-treated with brine (salt water), then the beet juice is applied. 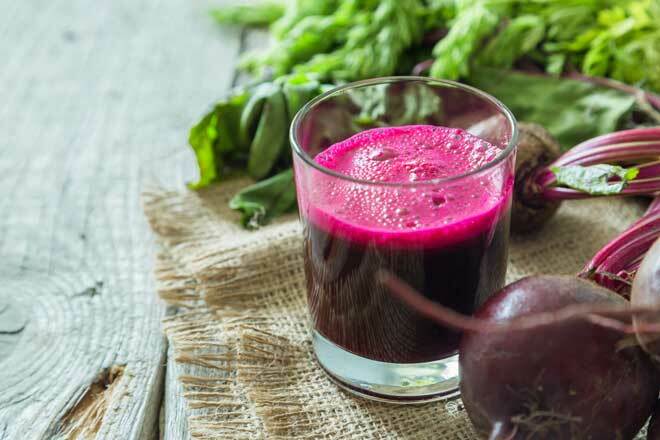 The beet juice lowers the brine’s freezing temperature, so the salt can melt ice in colder weather than it otherwise could. If you take this approach at home, you’ll still need salt, but you’ll need less of it, meaning less damage to your plants and paved surfaces. To make your own natural ice melt from brine and beet juice, dissolve 1 1/2 cups salt in 1 gallon of water. Then pour in 8 ounces of beet juice. Keep in mind that beet juice can leave stains on lighter surfaces, such as concrete. Because brine is even more corrosive than rock salt, limit the amount you apply to your driveway, or anywhere else you drive your car. If you do drive on a brine-treated surface, wash the undercarriage of your car afterwards. If you can’t get your hands on the ingredients for any of these de-icers, try spreading fireplace ash, coffee grinds or sand over the icy surfaces. These materials don’t directly melt ice, but their dark color allows them to absorb heat, which helps speed up melting. They’ll also provide some traction. Melting the ice from your steps, sidewalk, and driveway doesn’t have to mean pouring on some expensive commercial de-icer. With ingredients already in your cabinets, you can mix up a simple ice melt to clear your paved surfaces quickly and inexpensively.